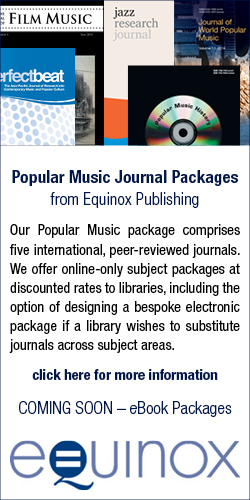 The Journal of Film Music is a forum for the musicological study of film from the standpoint of dramatic musical art. The analytical tools and methodologies of historical, systematic, cognitive, and ethnomusicology all are relevant and essential to this study, which seeks to both document and illuminate film practice through source studies, analysis, theory, and criticism. Film, though a product of late 19th century technological innovation, viewed historically as a dramatic art form, only emerged as such after the turn of the 20th century, with a musical practice that underwent almost continual development and changes throughout that time to the present day: The advent of sound in theatrical motion pictures precipitated an adaptation in silent film accompaniment, such that techniques were developed to combine it with onscreen music performance, dialog, and sound effects, while also placing increased value on original composition over the use or adaptation of existing music. The tradition and techniques of this practice carried over into radio, television, computer, and other communications media. 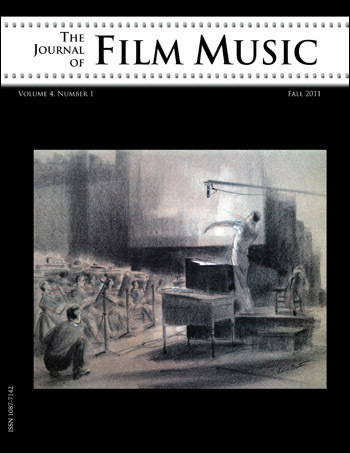 In a historical framework, This journal examines film and its allied media not only in terms of its own shared tradition, but in terms of its roots, precursors, and parallels throughout music of the theatre and other fields of music, both “classical” and popular, from which it has borrowed: incidental music for plays, 19th century stage melodrama, Vaudeville, opera and operetta, musical comedy, melodeclamation, ballet, dance and music hall, as well as forms of dramatic concert music such as oratorios, cantatas, and tone poems. The juxtaposition and clash of musical idioms from the traditions of Western theatre and art music with those of popular music partly accounts for the eclecticism that has always characterized film since the silent days. Hybrid styles were born, for example, that which came to be widely known as the “Hollywood style,” in which jazz was combined with European art music (“classical” music). The wide ranging and multifarious background that has contributed to the development of music for Western cinema also influenced non-Western cinema as well, particularly because of the prevalent use of European- and American-published “photoplay music” throughout the world during the silent era which, in effect, produced a veritable international film practice, if one with regional variations, that persisted into the sound era. Systematic, cognitive, and ethnomusicological research endeavors to document and analyze these cultural differences as well as commonalities across cultures and time periods are all welcome topics for this journal.